I have often said that if we ever need to move, I hope to score a fellow DIY/home blogger enthusiast’s home! Home bloggers and DIY enthusiasts organically increase their property value just by lovingly caring for their homes and keeping decor fresh and current. When making decorating decisions and home upgrades, I don’t base them on who will live here next–and I’m guessing most of you don’t either. I find it constraining to wonder whether or not all of my decor choices will impact our home’s resale value, so I just plow ahead and instead focus on creating a cozy backdrop and stage for our lives. But guess what?! Most of those updates also increase my home’s equity! 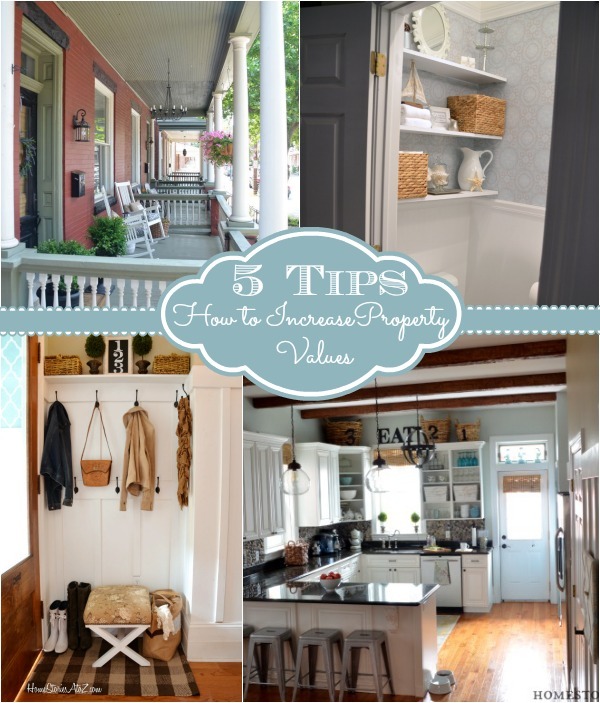 If you are wondering how to increase property value, here are five easy updates you can focus on within your home. Adding curb appeal to the exterior of your home is a relatively easy and inexpensive way to increase your property value. Focus on adding pops of color and greenery with in-season plants and flowers. If you have a porch, create an outdoor room with rocking chairs, an outdoor rug, and accessories. Front doors can be enlivened with a fresh coat of paint in a fun color. If your budget is incredibly tight, a homemade wreath does wonders to cheer your entryway. The exterior of your home sets the tone and gives others’ their first impression of your space. By adding a few easy touches, you can enhance that first impression in your favor. 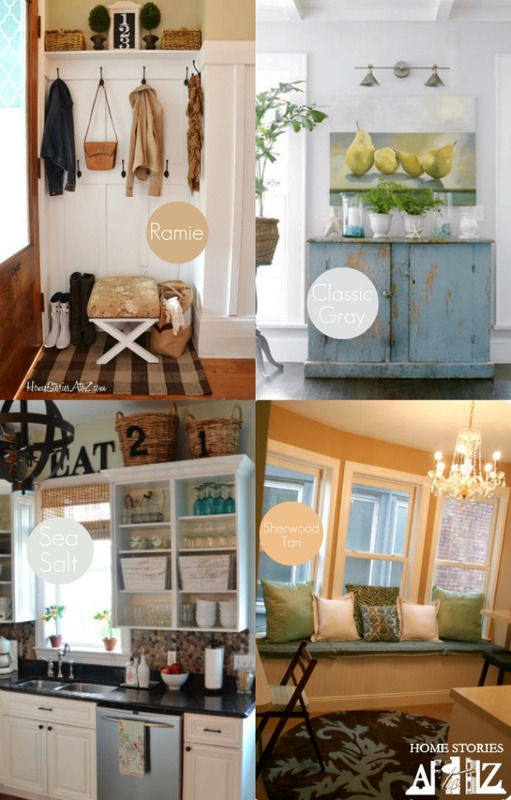 Growing families in particular are looking for a mud room or drop zone space within the home. Built-in spaces are preferred, but if you don’t have an entire room to devote to a mud room consider building a drop zone with some hooks on the wall and a storage bench. 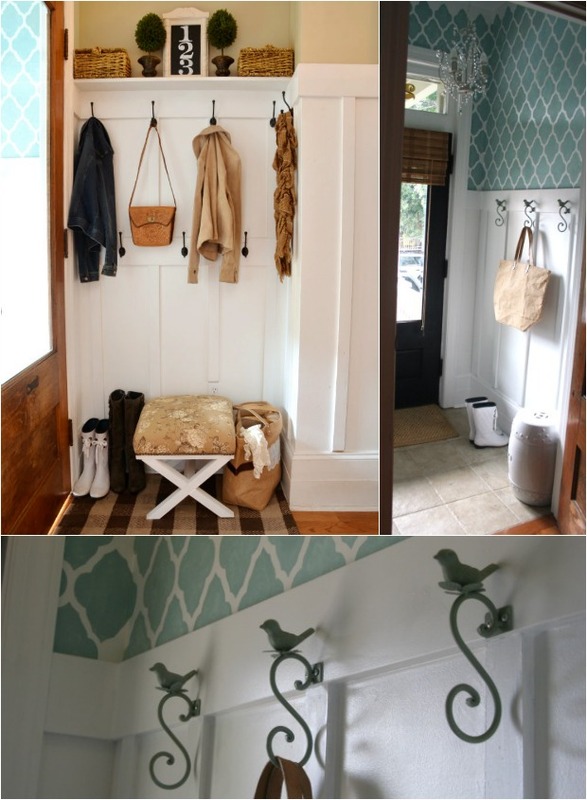 You can read about how I created our board and batten mudroom and our stenciled drop zone entryway. Changing your kitchen hardware, painting your cabinets, and freshening up your lighting are great ways to update your kitchen. Updating my kitchen was a very slow and gradual process. 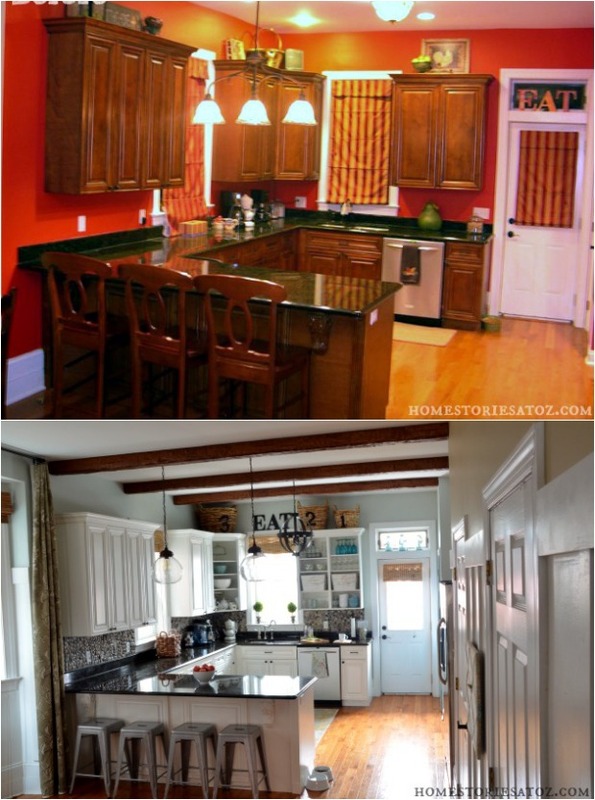 I wasn’t able to afford to do it all at once, so I made small changes bit-by-bit over a few years until I had a kitchen I adored. You can learn more about How to Update Your Kitchen on a Budget here. Changing hardware, lighting, and even simply re-caulking the shower and cleaning your grout can do wonders in refreshing the look of your bathroom. 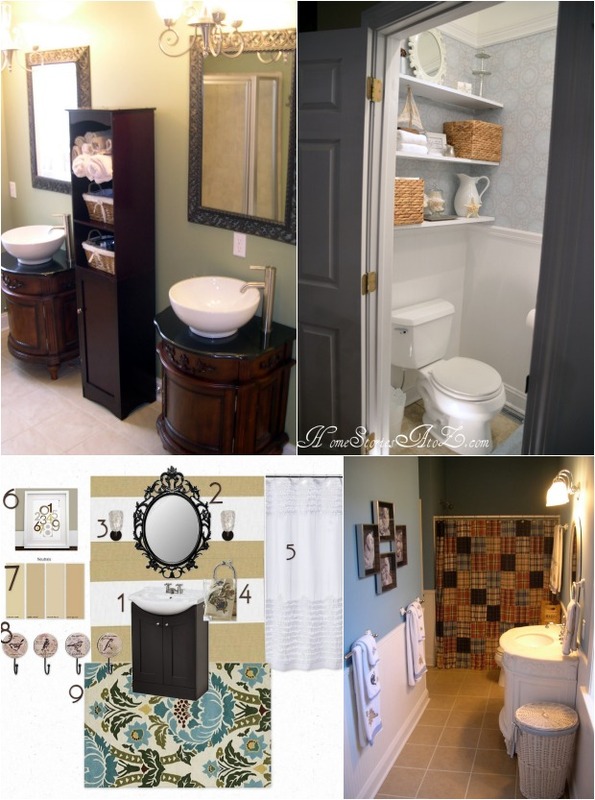 If you have a larger budget to work with, consider retiling and changing out your vanity. I updated our half bath recently using beadboard wallpaper, decorative wallpaper, and semi-floating decorative shelves. The most effective way to enhance the selling power of your space is with a fresh coat of paint. Updating your wall colors and adding architectural features such as board and batten and beadboard do wonders to completely transform your home. We added board and batten to the entire first level of our home a few years ago, and I am so glad we did! Every room is brightened and shines with a cottage aesthetic which was lacking before. I am a brand ambassador for Homes.com and they have created a great 1.5 minute video that gives even more tips on how to increase your home’s property value. Check it out below or click here to view. Those are some nice tips which I will have to put into consideration as I might have to sell my house in the near future. A few DIY projects can be just what your house needs to increase its value. Consider what needs a small spruce, from repairing the walls to updating your kitchen, and apply some simple DIY techniques and tricks to make the house shine again. These tips are great. I love the changes you’ve made to your home Beth. I can’t believe how much roomier the kitchen looks in the light colors. Great tips. Since we don’t have a mudroom (or room for a bench/hooks in the laundry room) I have been debating about adding a small bench in the garage. Maybe this should go higher on my Wish List. Love this! I really wish our house had a mudroom. We are working on adding something functional but I definitely miss having a mud room.